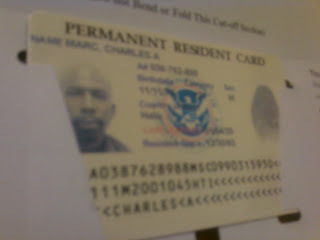 Street Soccer USA: SSNYC's Charles Marc gets his Greencard! Timing is good since C is Haitian and now can take advantage of US laws to help Haitians and make it easier for them to send money home. SSNYC's Charles Marc gets his Greencard! Timing is good since C is Haitian and now can take advantage of US laws to help Haitians and make it easier for them to send money home.